Where do fake social media accounts come from? Some are there for legitimate reasons, sure. Maybe you want to make a Twitter account for your dog. Or maybe you have a job that regulates what you can say online and you want a little freedom. Many people have alternative social media accounts online, even if they are just for things like playing games. But what happens when there’s a fake account that exists for nefarious purposes? We’ve all had the experience of getting a friend request from someone we know, only to have the account taken down after being reported multiple times for impersonating that person. Then there are fake social media accounts that are linked to things like spreading fake news or perpetrating phishing scams. As we live more of our lives online it is becoming easier for folks to take advantage by pretending to be something they are not, often quite convincingly. There are even television shows dedicated to this phenomenon. Why would someone pretend to be someone they are not? Because they can, and often because there is something they stand to gain from their efforts. Fake social media accounts have been in the news a lot lately because of the 2016 American Presidential election. There is evidence of Russian fake news being spread online by Facebook, which has led many to question the sanctity of the election process. It is sometimes possible to spot fake news and fake social media accounts. 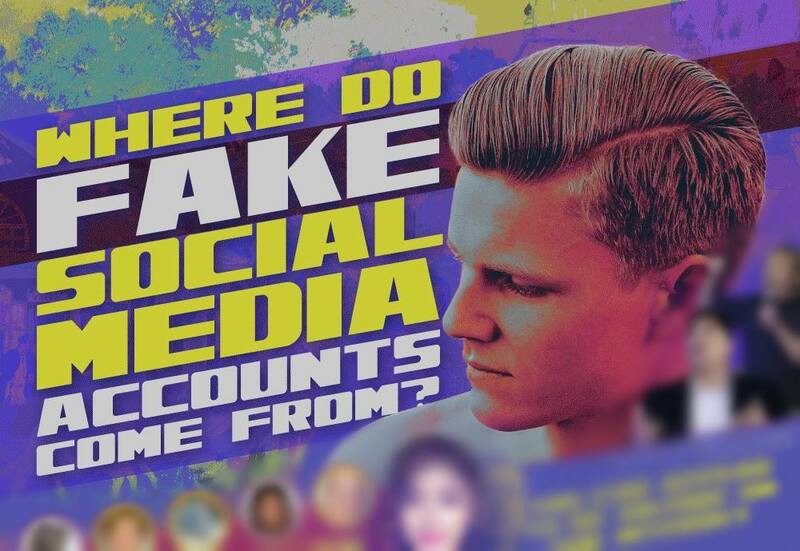 Learn more about the prevalence of fake social media accounts and how to spot them from this infographic!